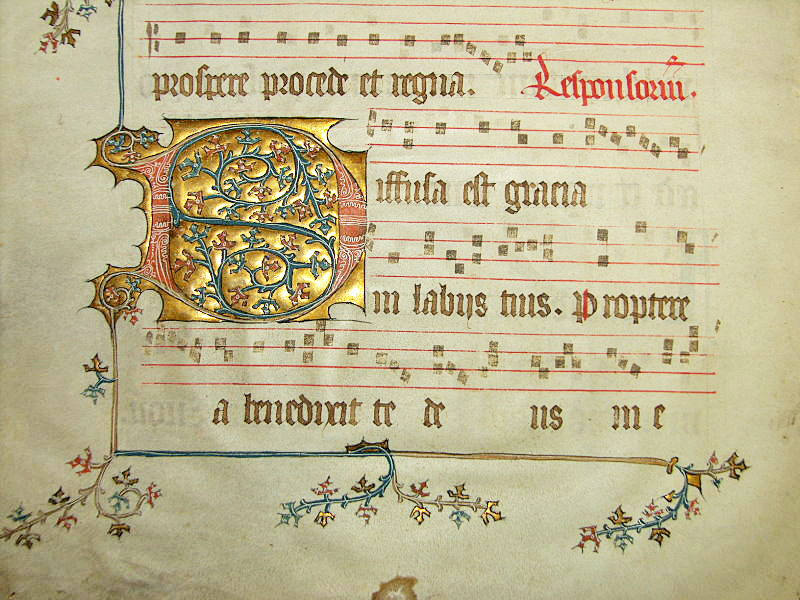 Vorliegendes Exemplar ist ein handschriftliches, spätmittelalterliches Schriftstück auf Pergament aus einem Liturgie-Buch. 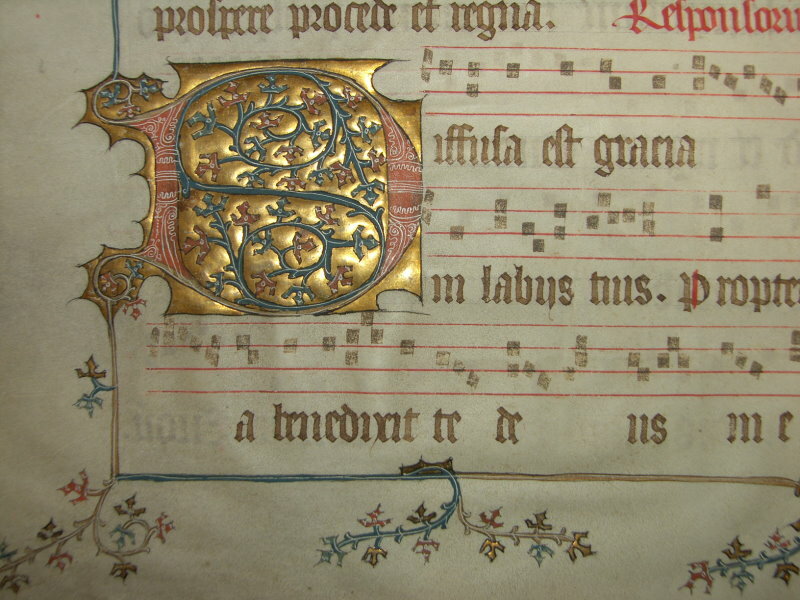 on vellum with one very unique gold initial! 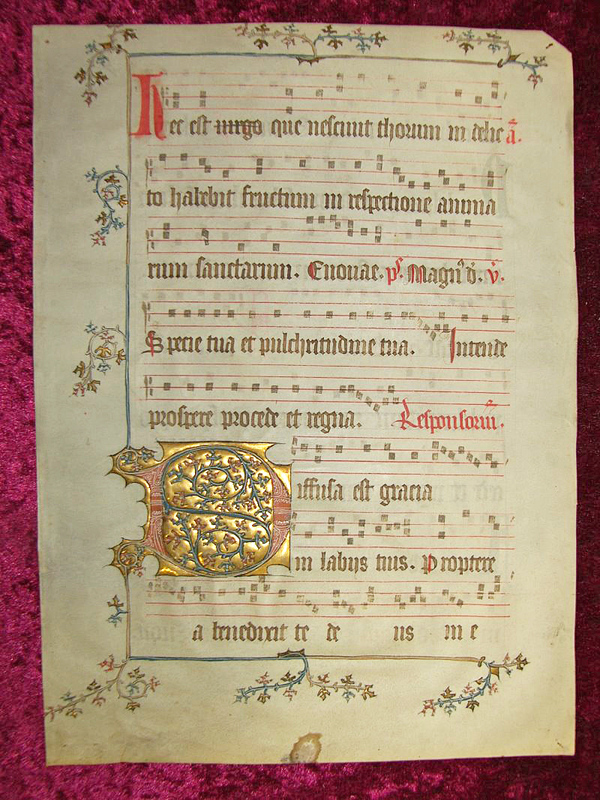 An Antiphonale (also Antiphonarium or Antiphonar) is a melody book with Antiphonen, the change singing of the chorister and the choirs for the Offizium, as well as with the Responsorien and psalms, i.e. 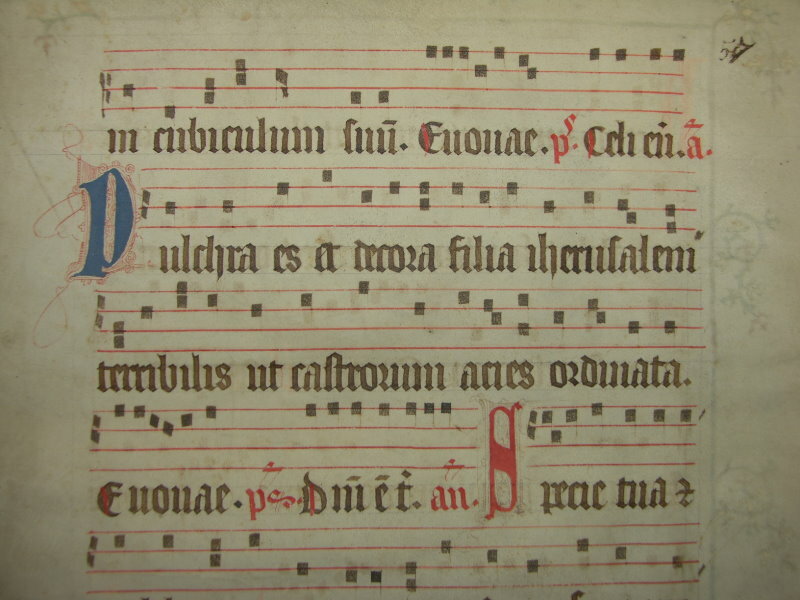 with the singing for the hour prayers of the Roman-catholic church. 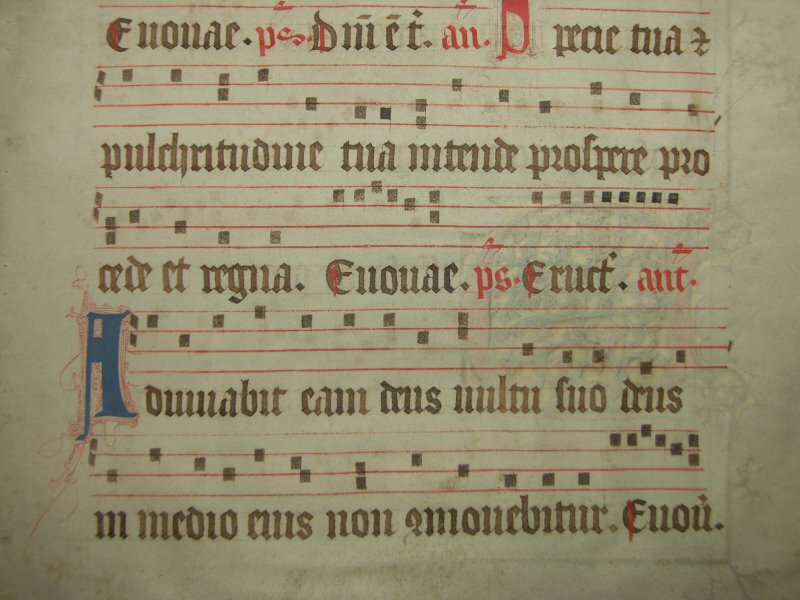 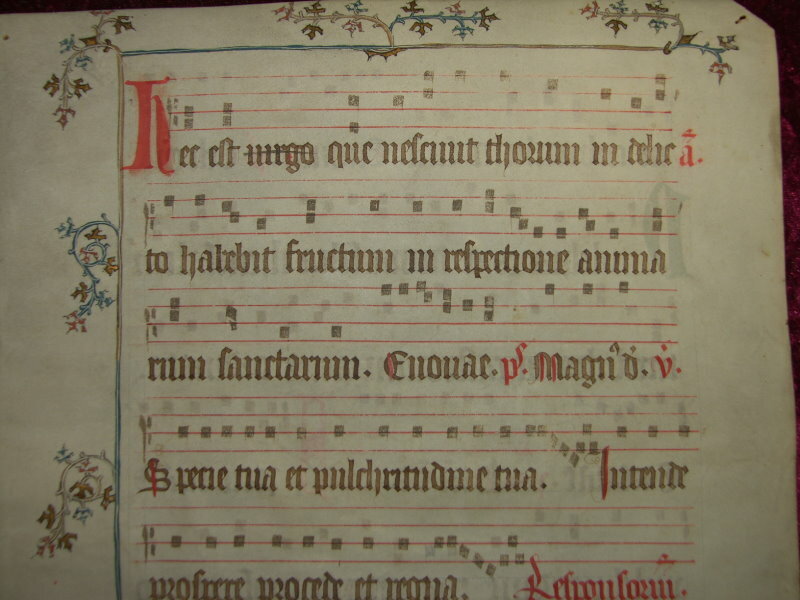 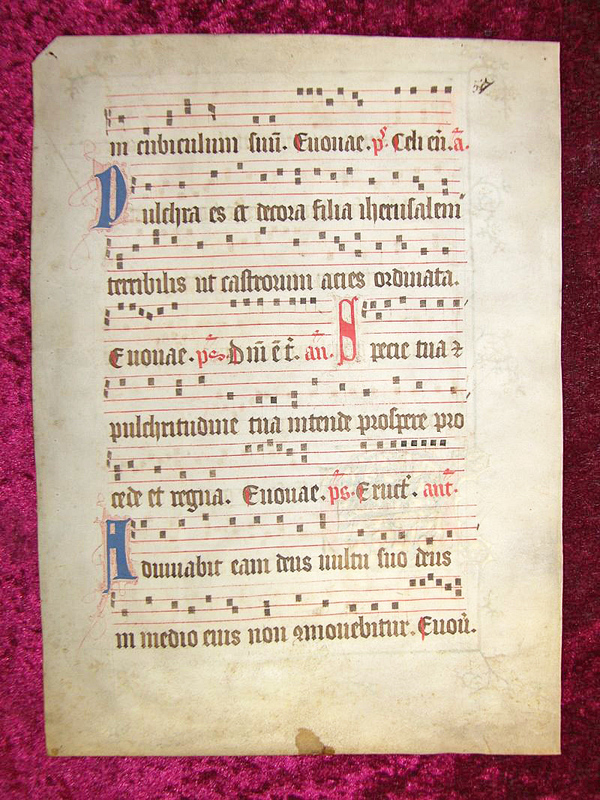 This is an original handwritten medieval manuscript leaf on vellum out of a liturgy book with musical scores and lyrics.